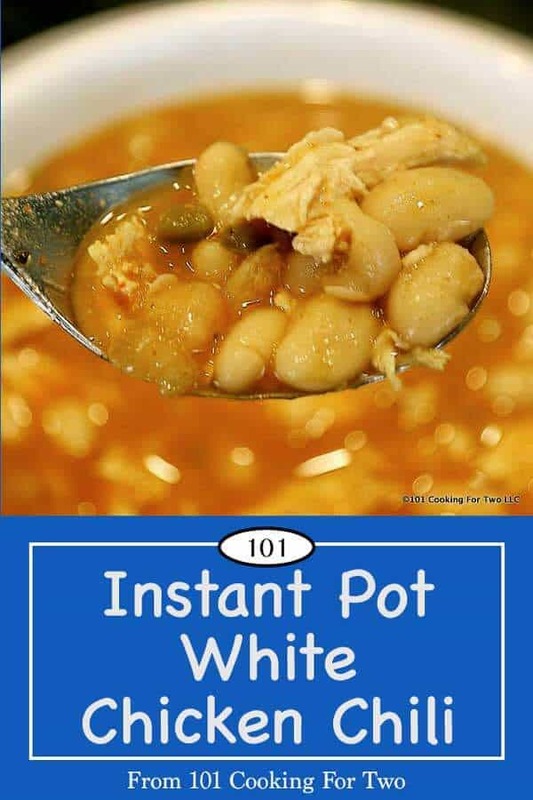 Time for an easy and great tasting Instant Pot white chicken chili. Ready in about one hour, this chili is great for any diet with only 1 gram of fat and just over 200 calories per serving, It will become a standard at your house. 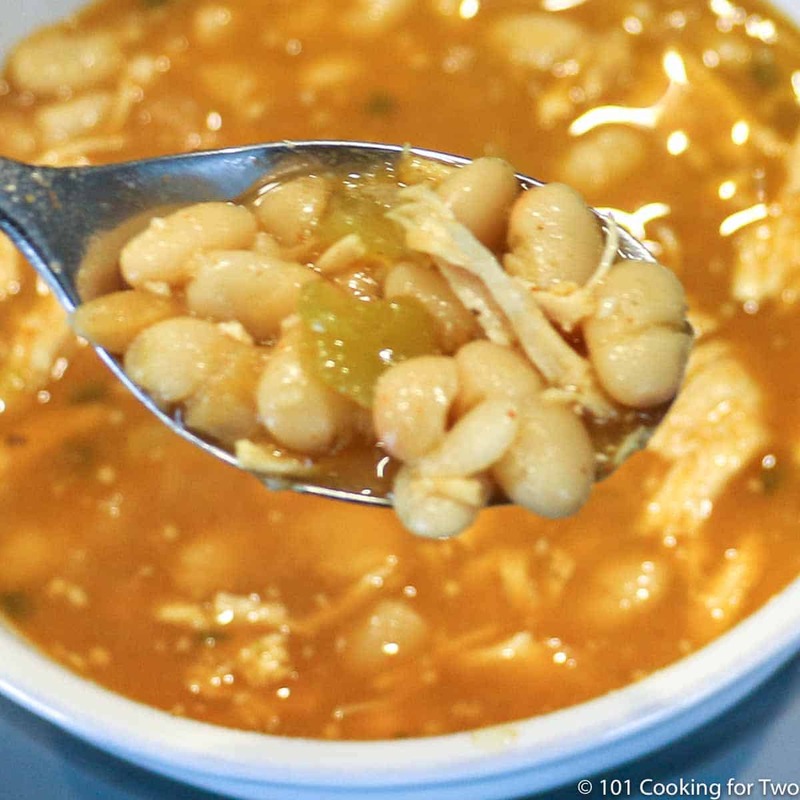 White chicken chili recipes are always some of the most popular recipes on this site. 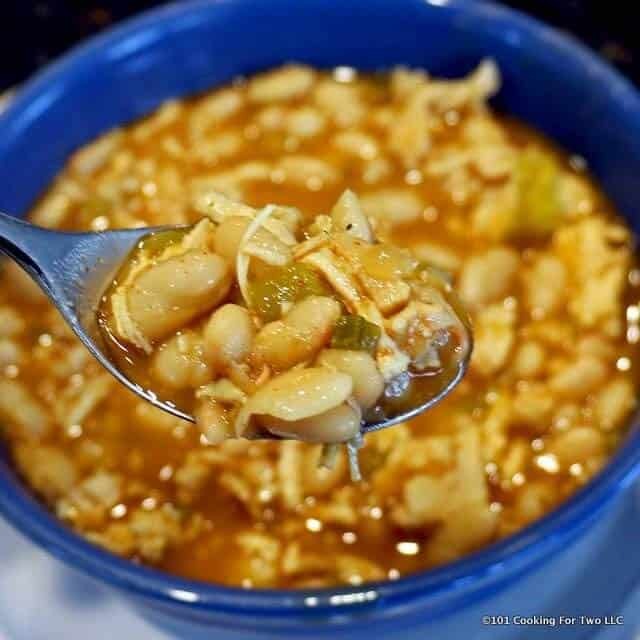 This is an instant pot adaptation of one of my best crockpot chili recipes, Low Fat High Taste Crock Pot White Chicken Chili. That recipe was based on recipe Excellent White Chicken Chili which is a modification of a Pioneer Woman recipe. 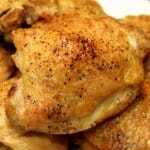 And conversion to crock pot then to this instant pot recipe. This five is from my wife (two servings). A nice five from me, also. While this is the first instant pot (AKA pressure cooker) recipe on the site, I grew up in an environment of almost daily use of a pressure cooker. For several reasons, I have been hesitant to add this increasingly popular method of cooking. First, I’m just not in that much of a hurry. And for short cookings which is what I usually do, it doesn’t make much sense because the pot takes time to get up to pressure. Plus I would have a pan to clean. But many other things we cook in slow cookers can benefit from a pressure cooker. Second, hmm, how do I put this? My mother was not the most “careful” cook. There were a number of minor issues and several more major events. Fortunately, all injuries were relatively minor consisting of mostly first degree but some second-degree burns. No hospitalizations or major injuries but this should point out the importance of reading your manual and following the safety rules. So how does an Instant Pot (pressure cooker) work? In just a few sentences, heat is applied to a closed system causing water to become steam which increases the pressure in the system. The higher the pressure, the hotter the steam can become. 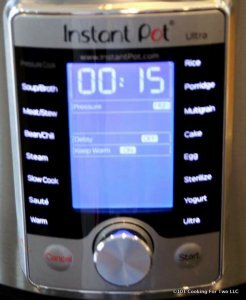 Instant Pot pressure cookers operate at 11.6 PSI (pounds per square inch) above the prevailing atmospheric pressure corresponding to a maximum temperature of 242 degrees at sea level. The maximum temperature decreases as elevation increases. Stovetop pressure cookers can be up to 15 PSI with a maximum temperature of about 250 degrees. 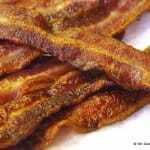 In addition to increasing the temperature to cook the food faster, the pressure will hydrate the food leading to very moist and tender meats. 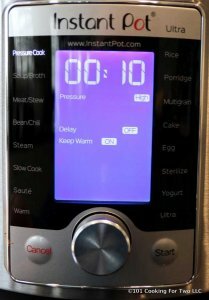 You will read about converting crockpot recipes to the instant pot using eight hours on low or four hours on high in the slow cooker to 25-30 minutes in the Instant Pot. Ok, that is a rough ratio the is helpful, but in this recipe, I know the chicken breast will be 15 minutes to get to 165 which is what I need to shred easily. I could add all the ingredients at the start, but my beans are already cooked, and I want them and the chopped chilis to have more texture. Last was healthier. Now healthier means different things to different people but for me (a doctor remember) I mean lower calorie density and lower fat. I this recipe fits most reasonable diets. At least healthier than my previous cheese filled chicken chili. 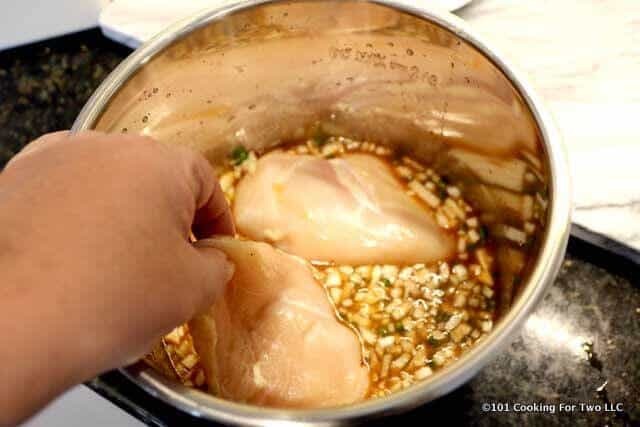 Trim two medium size skinless boneless chicken breast. 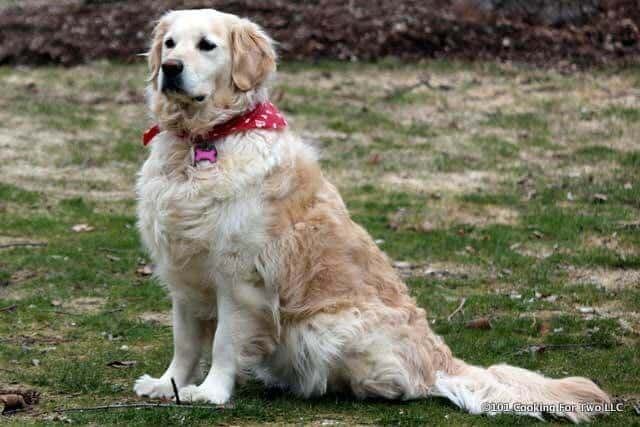 About 1 – 1 1/2 pounds. 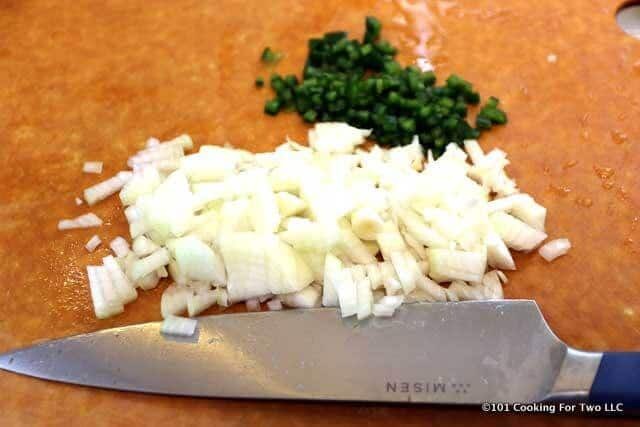 Chop one medium onion and mince one jalapeno. Add to instant pot. Use a 6 quart or larger Instant Pot or pressure cooker. 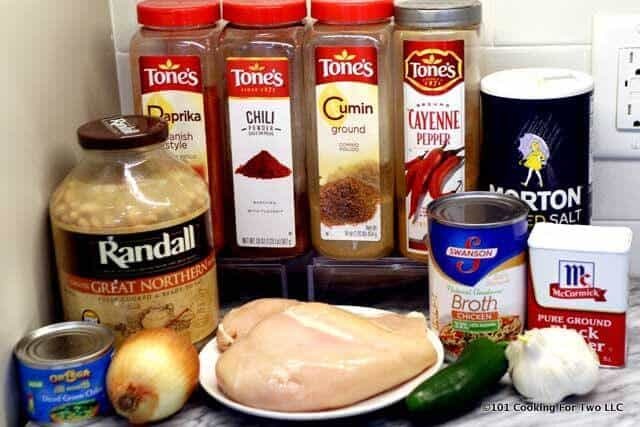 Add one 14 oz can chicken broth, 1 tablespoon cumin, 2 teaspoon paprika, 2 teaspoon chili powder, 3 garlic cloves minced, 1/2 teaspoon salt, 1/2 teaspoon pepper. 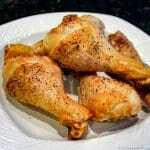 1/4 – 1/2 teaspoon cayenne pepper optional. Cook on high pressure for 15 minutes. It will take about 10 minutes to get up to pressure. Do a quick release of pressure when cooking time is over. 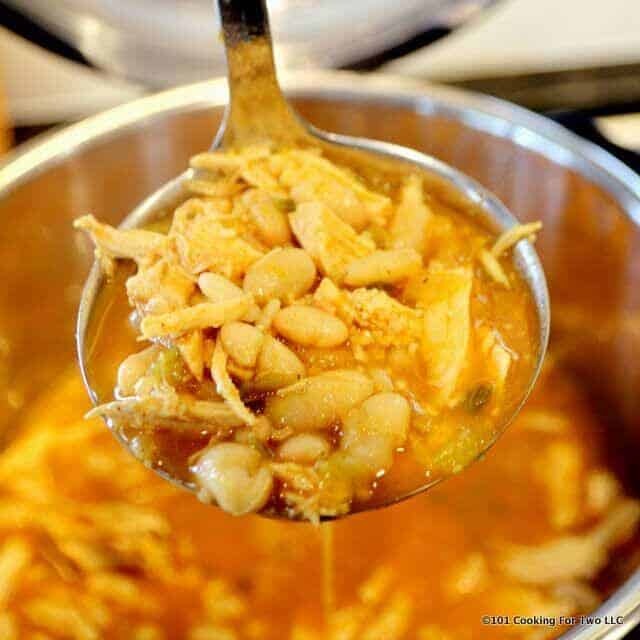 Remove the chicken from Instant Pot then add 48 oz jar pre-cooked Northern beans (do not drain) and one small can of green chilies. 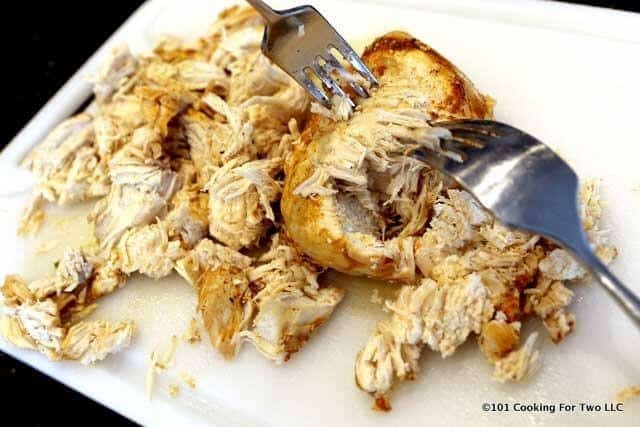 Shred the chicken with forks. DO NOT USE FINGERS. Place back in the pot with the liquid. Cook on high for 10 minutes. 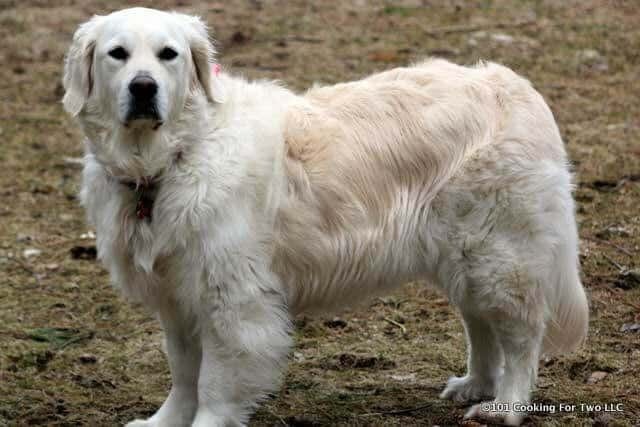 It may take up to 15 minutes to get up to pressure due to the mass that has been added. Do a rapid release of pressure. Trim two medium size skinless boneless chicken breast. About 1 - 1 1/2 pounds. Use a 6 quart or larger Instant Pot or pressure cooker. 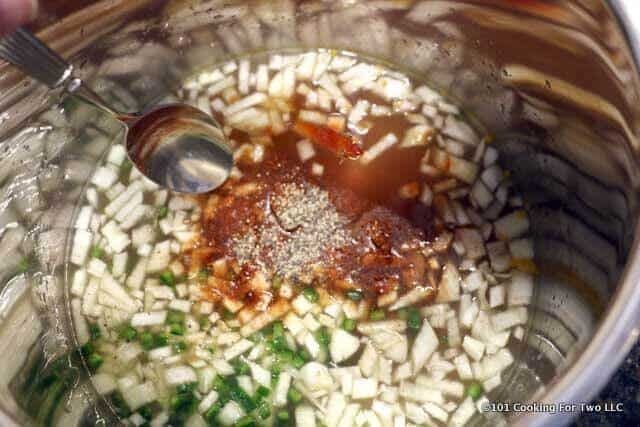 Add one 14 oz can chicken broth, 1 tablespoon cumin, 2 teaspoon paprika, 2 teaspoon chili powder, 3 garlic cloves minced, 1/2 teaspoon salt, 1/2 teaspoon pepper. 1/4 - 1/2 teaspoon cayenne pepper optional. Add chicken and cook on high pressure for 15 minutes. It will take about 10 minutes to get up to pressure. Do a quick release of pressure when cooking time is over. Cook on high for 10 minutes. 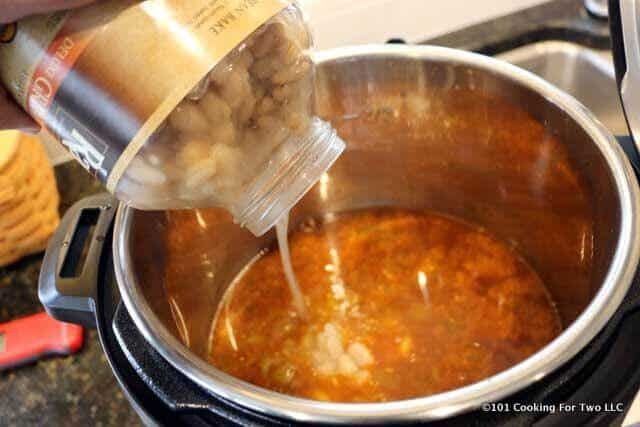 It may take up to 15 minutes to get up to pressure due to the mass that has been added.Instant Pot White Chicken Chili from 101 Cooking for TwoDo a rapid release of pressure. You can drain and rinse the beans if you wish, that will decrease the sodium a small amount. If you do, add 2 cups of low sodium chicken broth. Looks good. How do I convert this to a crock pot? Yes, it can be cut in half but many things will just be tossed. Half a can of chilis, half a jalapeño and some other things. It will freeze well. Directions don’t indicate when to add the onions. I assume it’s with the initial cooking period. Making this now, so hope that’s correct! Sorry for the delayed reply, I have been on the road. I was able to clarify the recipe dirctions (just added to the second instruction) while traveling but replying to email/comments are near impossible.